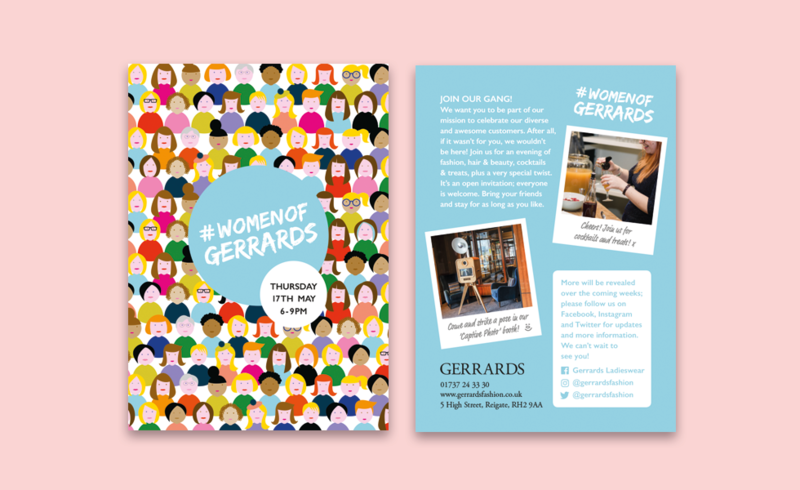 Gerrards a boutique based in Reigate, Surrey approached Pick Me! 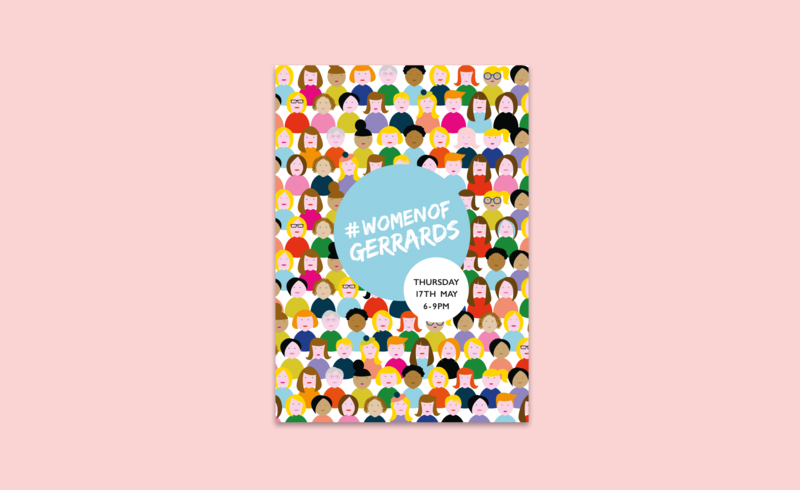 Design, as they required a graphic designer and illustrator to create artwork for a special in store event ‘Women of Gerrards’. 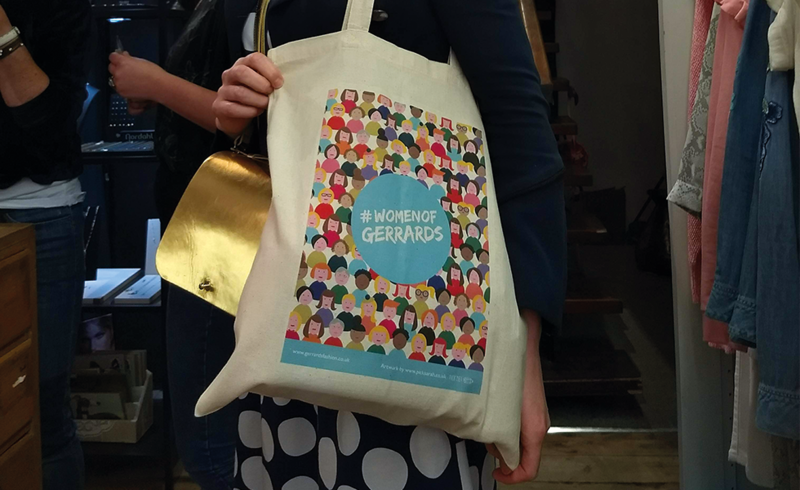 The job consisted of a invitation design with a bespoke illustration, celebrating Gerrards customers and a limited edition canvas bag also featuring the illustration.